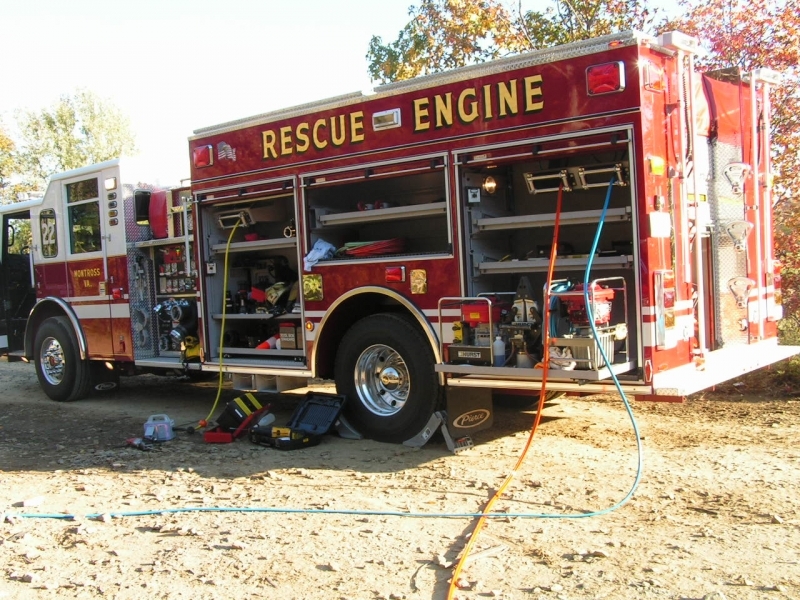 Equipment - 2 preconnected hydraulic reels with hurst combination tool and cutters attached, 1 spreader, 3 rams, spare cutters, portable pump, res-q-jacks, full set of cribbing, rope rescue equipment, full compliment of structural firefighting equipment. First Due - Vehicle accidents, vehicle fires, commercial building fires, haz-mat, technical rescue calls. Second Due - Residential structure fires in hydrant area.